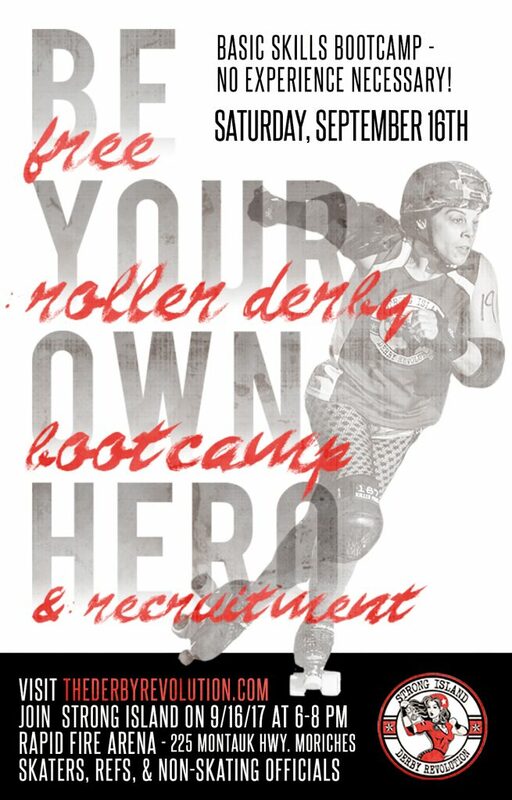 Prior to the recruitment event, your very own Strong Island Derby Revolution ladies will doing a brief live demonstration on Thursday September 14th! Riverhead town is hosting their second Roller Disco night of the year, and has invited us to come out and show off some roller derby. Come see your favorite skaters in action, and see what roller derby is all about. Looking forward to meeting our new recruits on Sep. 16th!